Recently, my husband was ripped apart for not being a militant vegan because every once in awhile we eat seafood. Like clams, and I guess clams have feelings?? So do scallops? And shrimp? Here are two very yummy and quick to put together salads. I always have these ingredients on hand and both recipes are great for lunches or a side at dinner. Remember I’m not a measurement girl so I’ll try my best to give my best estimates. Mix all ingredients except the olive oil together. When ready to serve add olive oil. 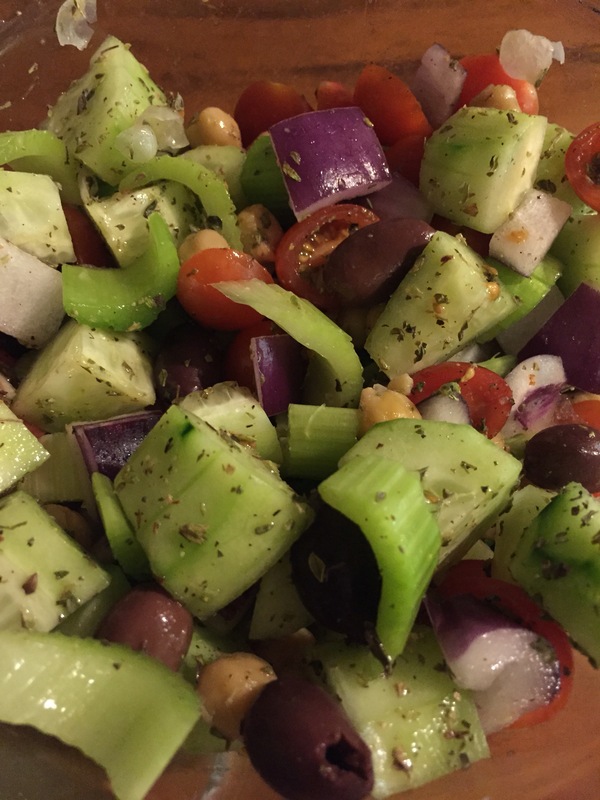 You could probably add balsamic vinegar but the olives do the trick for me in making it taste Greek’ish without the feta cheese. 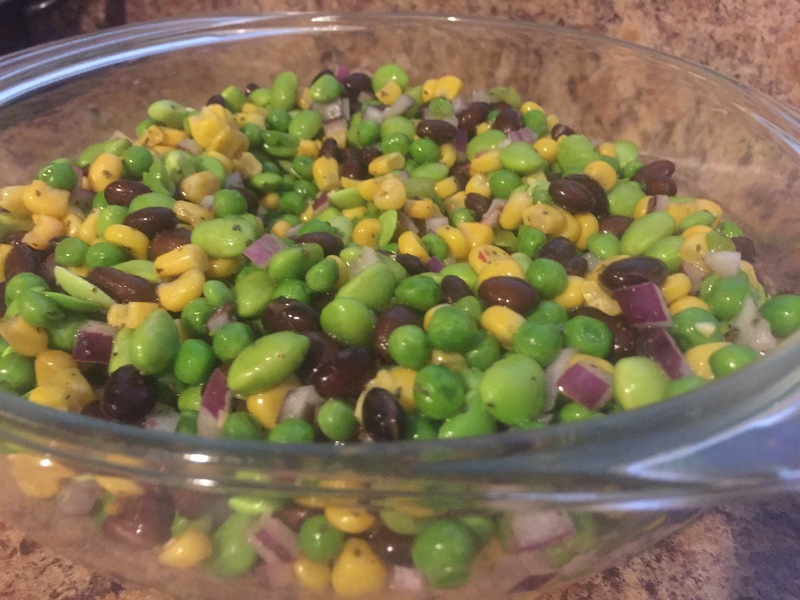 I love this salad and recently always have it in my fridge. Another super easy salad. Buy your ingredients in the frozen section of Trader Joes or your favorite grocer. Use organic whenever you can. 1/4 cup olive oil and red wine vinegar. Two very easy Vegan salads. Previous postCanine Healers…My Barkley Story.